Nanakmatta is a historic town in the state of Uttarakhand named after Sri Guru Nanak Sahib Ji after his visit here in 1514. 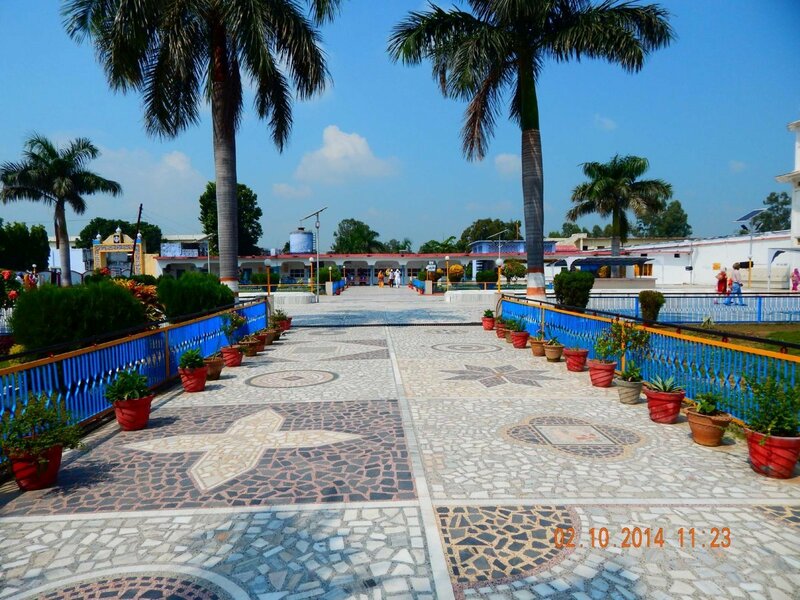 Previously, it was known as Gorakhmata as the followers of Gorakhnath were staying here. Sri Guru Hargobind Sahib Ji also visited Nanakmatta. 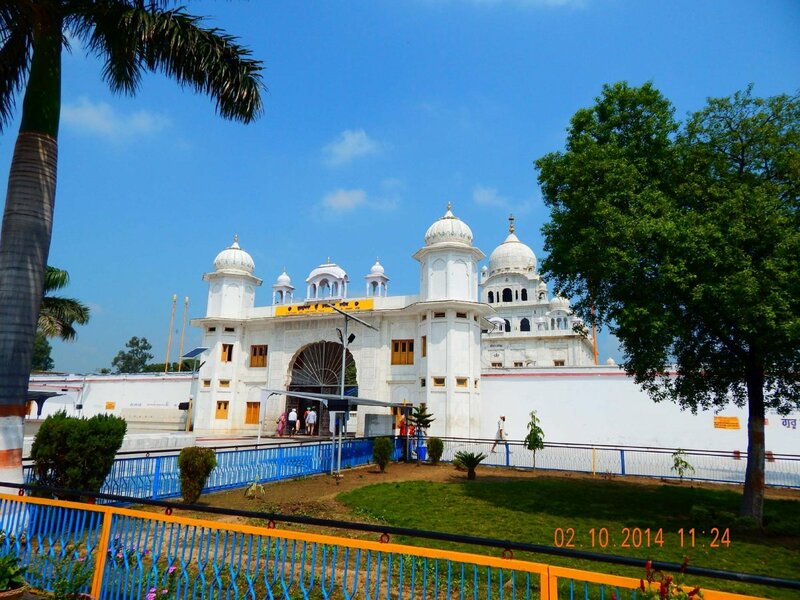 There are 8 Historic Sikh Gurdwaras at Nanakmatta. When Guru Nanak first arrived, the yogis received him with great courtesy and invited Guru Nanak to adopt their cult, wear their garb and join them as a yogi. Guru Nanak explained to them that a life of seclusion, which does not help their fellow beings, was worthless. 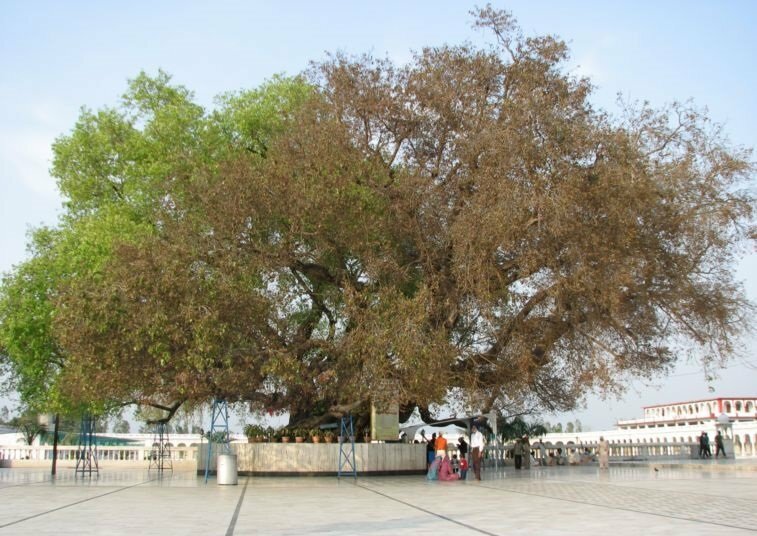 Guru Nanak sat near the present location of the Gurdwara meditating under a Pipal tree (sacred fig or Ficus religiosa tree). The yogis were surprised to see him there as this place was quite inaccessible, especially during the winter months. The weather being cold, Bhai Mardana asked the yogis for help creating a fire. However, they refused to help Bhai Mardana. The yogis, instead, taunted him and told him that he should go and ask his Guru. At this, Guru Nanak looked at a pile of firewood nearby and it instantly ignited. Bhai Mardana was thus able to keep warm and enjoy the fire. Suddenly, the weather changed for the worse and it began to rain. As a result, the fires lit by the yogis were extinguished but the one lit by Guru Ji was not affected at all. The yogis realized their mistake and fell at the feet of the Guru. The next morning, they all gathered together and came to Guru Ji for a religious discussion. They again used their occult powers and tried to lift the pipal tree under which Guru Ji was sitting out of the ground. When the tree had risen by a few feet, Guru Ji simply placed his hand on it and it stopped rising. 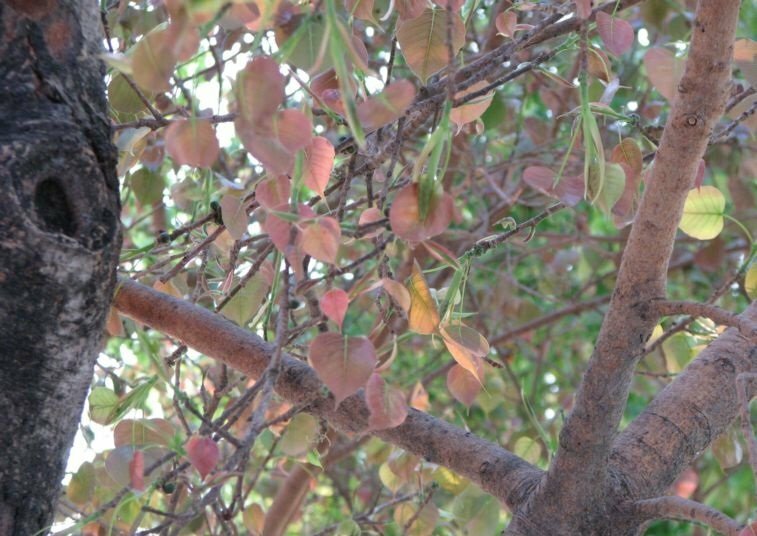 The same tree can be seen in the Gurdwara compound. Guru Ji explained to the yogis the path of true meditation and salvation. The yogis learnt from the Guru and gained valuable knowledge ('Matt'). 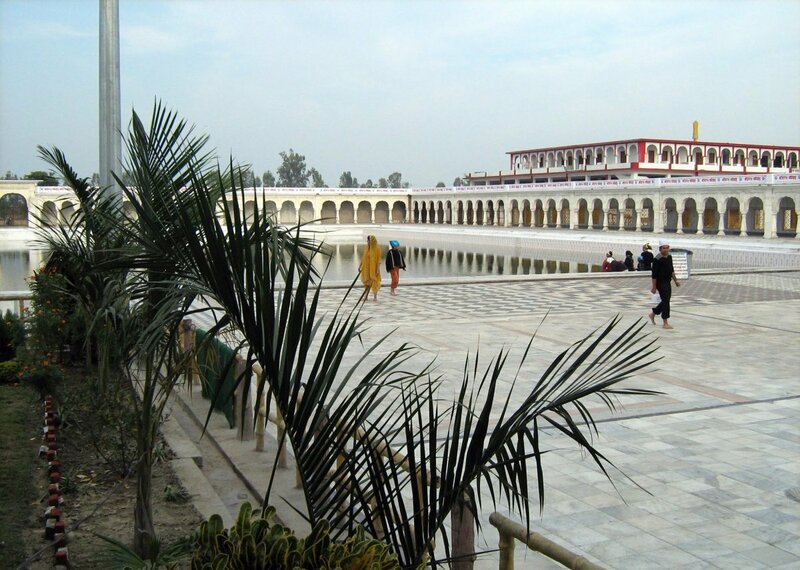 This place then came to be known as 'Nanak Mata' and became a major centre of the udasi. 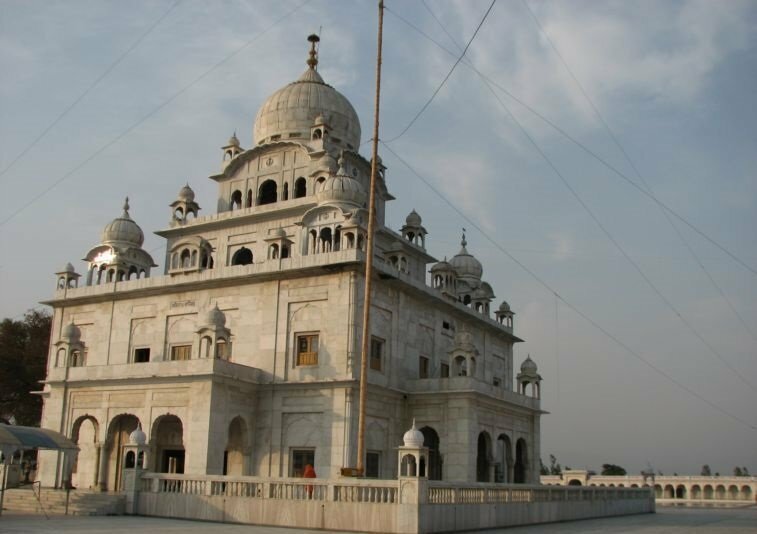 A 100 room sarai (bedroom complex), Guru Hargobind Niwas, has been constructed within the Gurdwara complex. Of these, 50 rooms have attached bathrooms. Additionally, a government-run rest house, the Kumaon Vikas Nigam Rest House, is also located nearby. Before 1937, this gurdwara was maintained by mahants. A small gurdwara was constructed by the local people. The land for the gurdwara was donated by Nawab Mehndi Ali Khan. Karsewa began in 1975. The gurdwara building is magnificent and has marble all over. There are vast open spaces all around and it is all available for future expansion. The complex consists of the main hall, the langar hall, the parikarama, the sarai, offices, etc. The Guru's teaching became so effective that Gorakhmata became Nanakmata. Gurdwara Sri Dhudh Wala Khooh Sahib is situated about 500 meters from Gurdwara Sri Nanak Matta Sahib. The yogis who inhabited this place possessed a large number of buffalos. Bhai Mardana wondered if he could have some milk to drink and Guru Nanak who was sitting near a well asked him to approach the yogis to see if they would share theirs. The yogis refused to give Bhai Mardana milk as he was a low caste, they taunted him by telling him to get milk from his Guru. 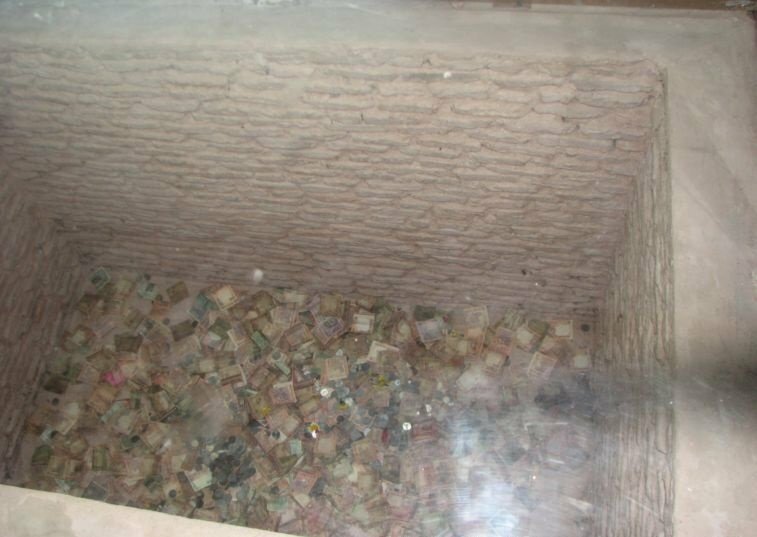 By virtue of his spiritual powers, Guru Nanak drew all the milk from the buffalos of the yogis and stored it in a well. Bhai Mardana had his milk from the well. The yogis were shocked and begged to have some of the milk. All of the yogis drank from the well but it was still full. The yogis understood that they Guru Nanak was sent by God. Since then the well was called Dhudh Wala Khooh ('dhudh' means 'milk', 'khooh' means 'well'). 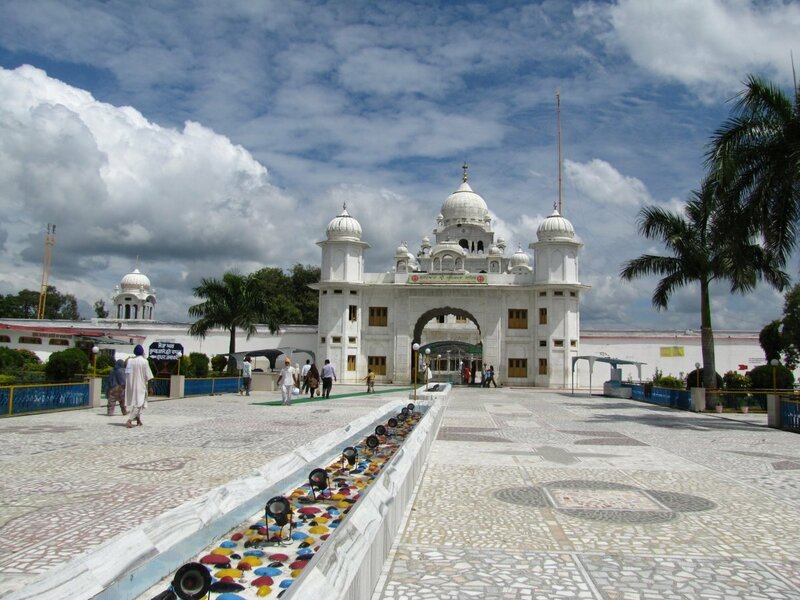 The small marble structure of this beautiful gurdwara rises from amidst lush green fields and orchards. 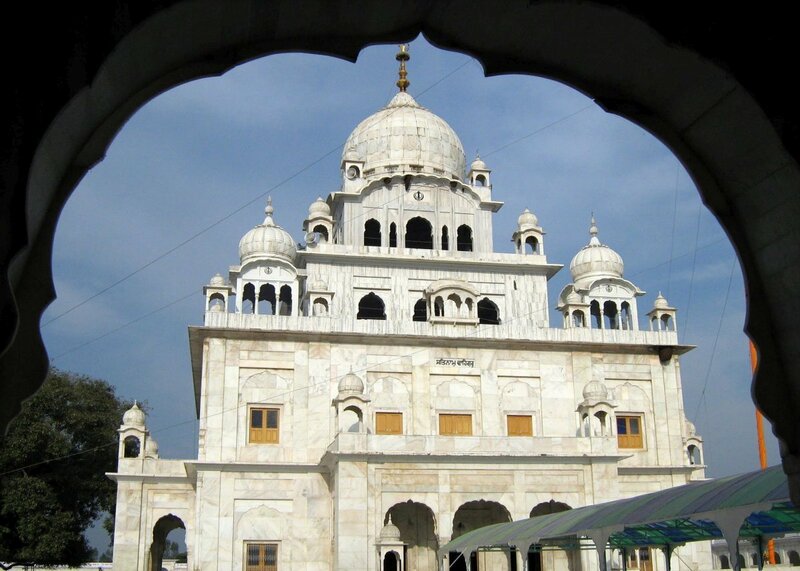 Along with the historic well, the gurdwara is a great sight. The yogis did not want the local people to become educated enough to challenge their superiority. By using fake mystical powers, they successfully exploited the poor people and took advantage of their good nature and ignorance. Guru Nanak encouraged the yogis to share. However, the yogis decide to test Guru Nanak. They gave Guru Nanak a seasame seed and asked him to share it with everyone present. Guru Nanak asked Bhai Mardana to grind the seasame seed into some milk and gave the milk to everyone to drink. Then, Guru Nanak asked if everyone had received their share. The yogis were speechless. The yogis demanded a variety of foods from Guru Ji. On the instructions of Guru Sahib, Bhai Mardana climbed up a banyan tree and vigorously shook its branches. To the amazement of the yogis, a variety of foods fell down from the branches of the tree and satisfied the hunger of the yogis and Bhai Mardana. The yogis at first behaved contemptuously towards the Guru and tried to overawe him with their occult powers. But as he remained undaunted and unaffected by their rudeness and miracle-making they agreed to talk to him. Guru Nanak impressed upon them the impropriety and unrighteousness of their path of renunciation, and exhorted them to live a pious yet active life of a God-oriented man of the world. Bhandara - meaning free food for all those who come to the place and demand it. 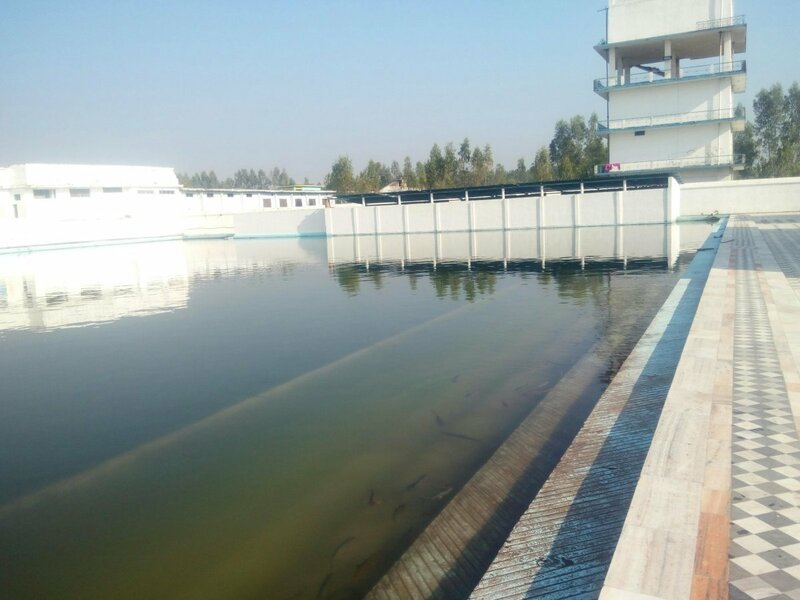 Gurdwara Sri Baoli Sahib Nanak Matta is located on the banks of the river Ghagghar in the town of Nanak Matta, district Udham Singh Nagar, situated near Nanak Sagar Dam. 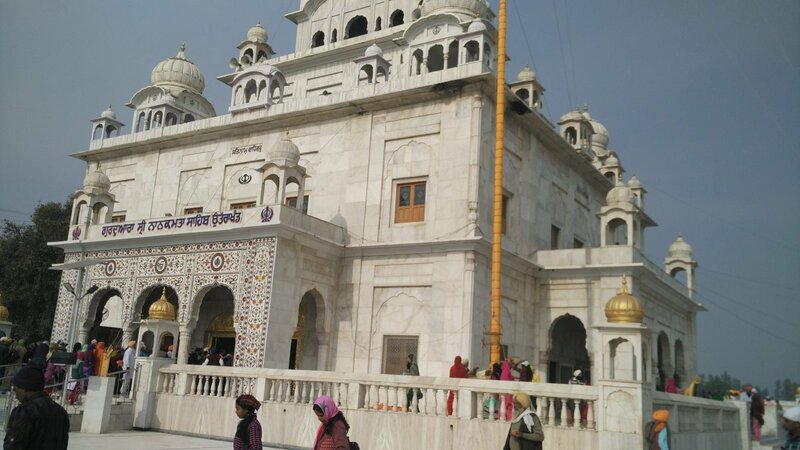 It is about one and a half km's from Gurdwara Sri Nanak Matta Sahib. The place is known so because there is a small baoli of water. 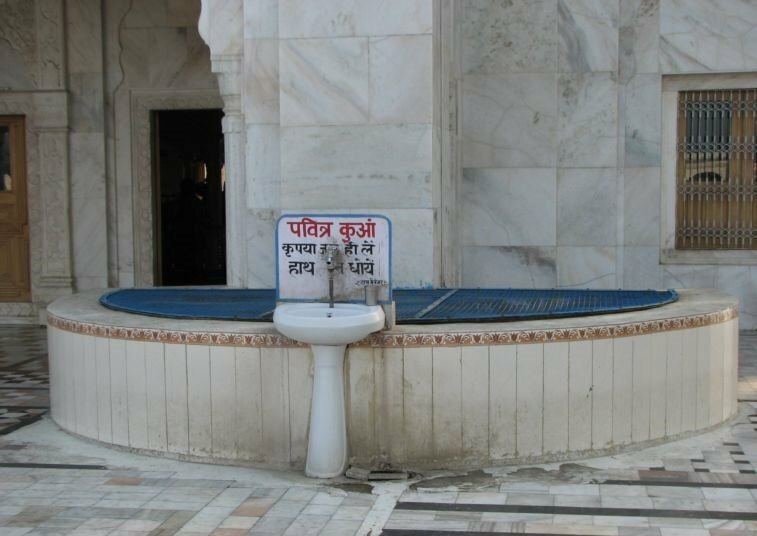 Water was brought here by the order of Sri Guru Nanak Sahib Ji. Some yogis resided here when Guru Nanak visited this place. The yogis were jealous of Guru Nanak and tried to use their magic tricks to impress Guru Nanak. The yogis, using magical 'occult powers', dried up all the water in the area and challenged Guru Nanak to bring the water back. The power of faith is Guru Ji's bachan (words). Guru Nanak instructed Bhai Mardana to pick up a stick and go to the nearby river. He told Bhai Mardana to drag the river behind him with the stick without looking back. Guru Ji told his disciple that the river water will follow the stick automatically. However, Guru Ji admonished him from turning around and looking behind. Bhai Mardana did as instructed and the river started to follow him as he dragged his stick over the ground. When he reached this place, Bhai Mardana looked back to see if the river was coming behind him. Immediately, the river stopped following him and stopped at this place. When the river stopped its flow, Guru Ji asked the yogis to use their occult powers and push the river back to where it was. However much they tried, the yogis could not do so. They realized their fault and fell at the feet of the Guru Ji, accepting their defeat. 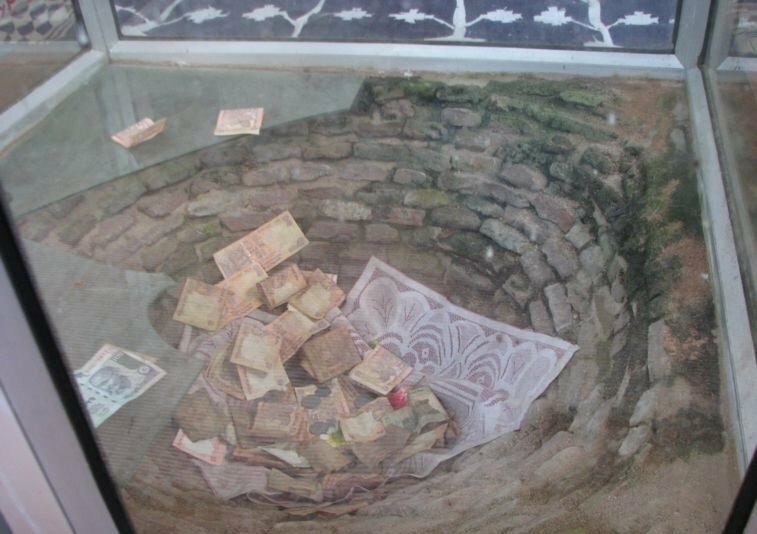 A baoli was constructed here thereafter known as Baoli Sahib. The area is now part of the Nanak Sagar Dam. Gurdwara Sri Almast Sahib is constructed in the memory of Baba Almast Sahib Ji. 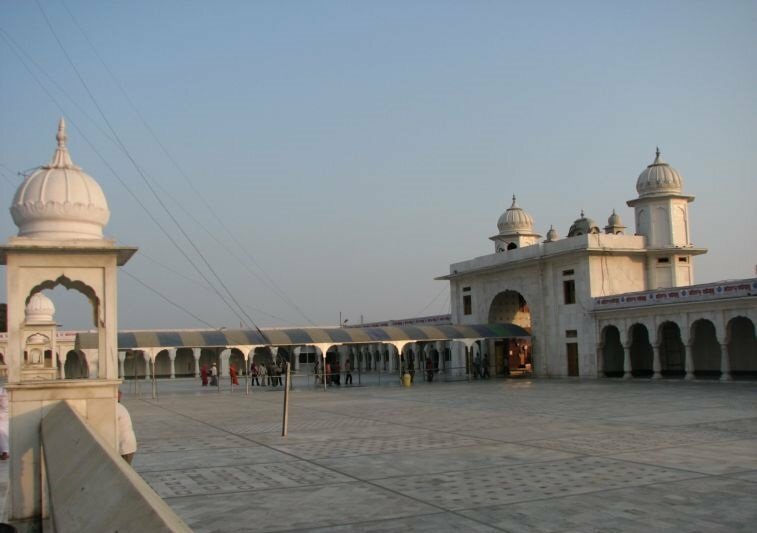 The Gurdwara is located within the Gurdwara Sri Nanak Matta Sahib complex. Baba Almast Sahib was taking care of Gurdwara Sri Nanak Matta Sahib where Guru Nanak had visited and sat under a Pipal tree. However, Baba Almast was pestered by Gorakh Panthi's. They wanted Baba Almast to vacate the place as they wanted to re-establish their centre there. Baba Almast was expelled from his Gurdwara by the yogi's. 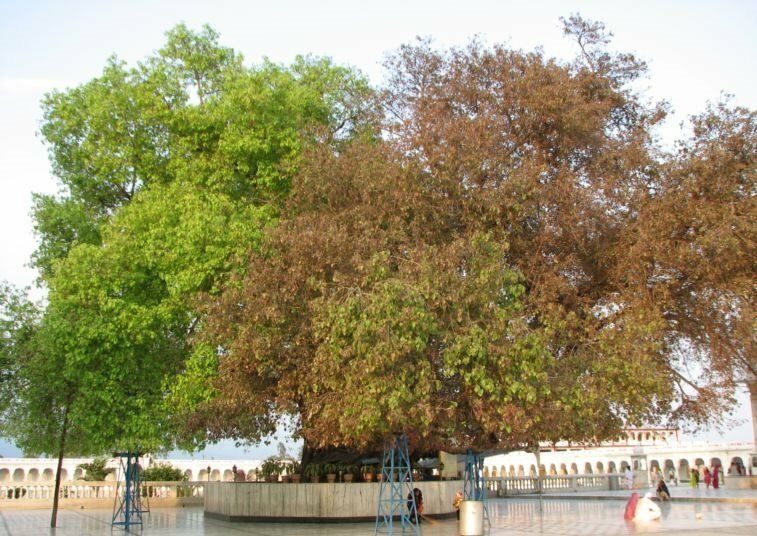 More importantly, the hindu yogi's (sidhs) also burnt the sacred Pipal tree under which Guru Nanak Sahib Ji had held debate with the followers of Gorakh Nath. 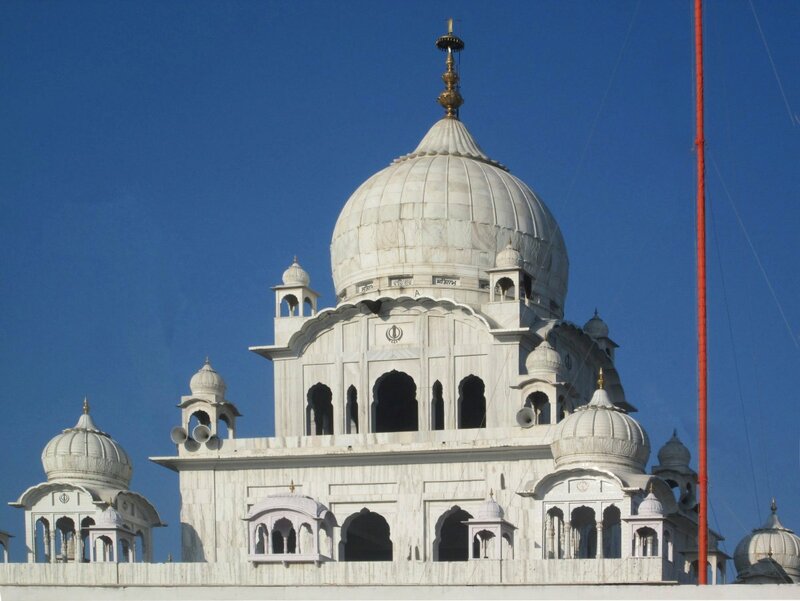 Gurdwara Sri Almast Sahib is located where Baba Almast would meditate on God's name. 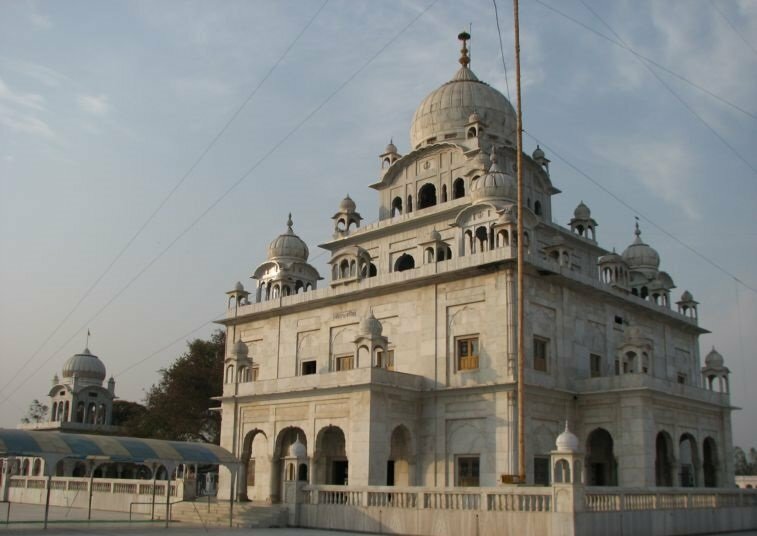 Gurdwara Qila Sahib Nanak Matta is situated in Bidaura, in Udham Singh Nagar Dist. 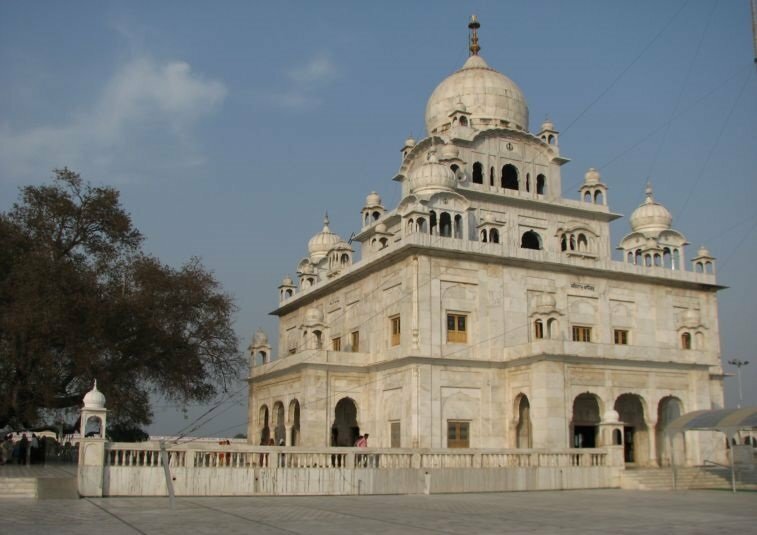 It is located about 7 km's by car from Gurdwara Sri Nanak Matta Sahib. 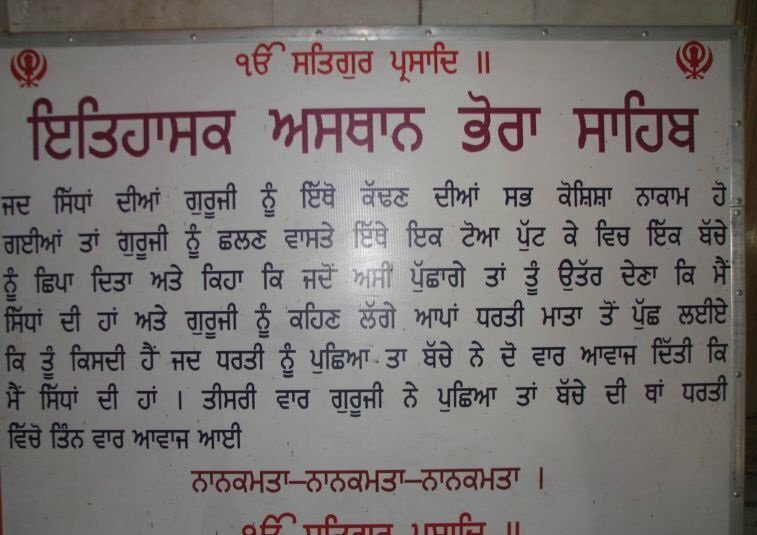 When the yogis started harrassing Baba Almast Ji, Baba Ji came to the location of this Gurdwara and prayed to Sri Guru Hargobind Sahib Ji for help. Baba Almast meditated and waited for Guru Sahib. 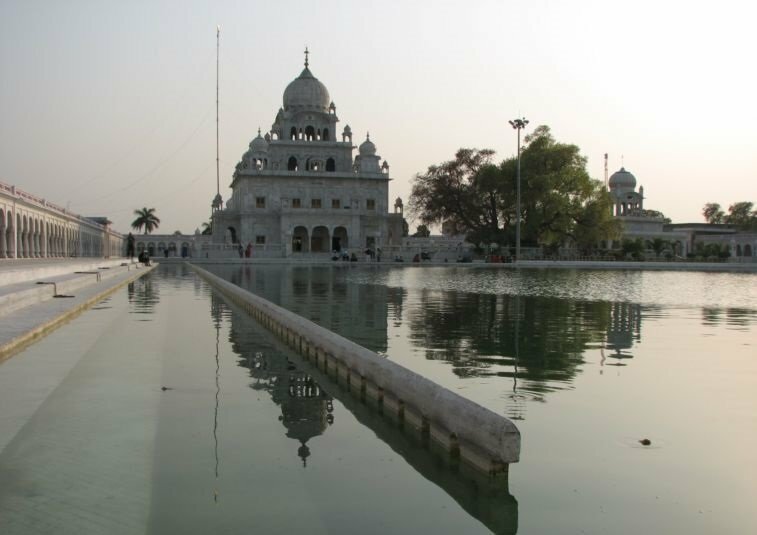 In Punjab, Guru Hargobind heard Baba Ji's prayers and began his journey towards Nanak Matta. When Guru Sahib arrived at Bidaura and met Baba Almast Ji, Baba Ji narrated the whole story to Guru Sahib. 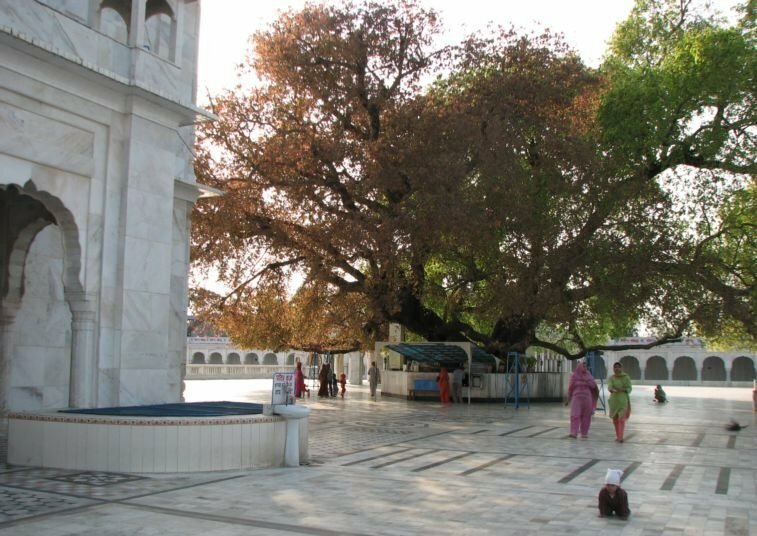 Guru Sahib tied his horse to a dry qila (post on the ground) which grew into a tree. 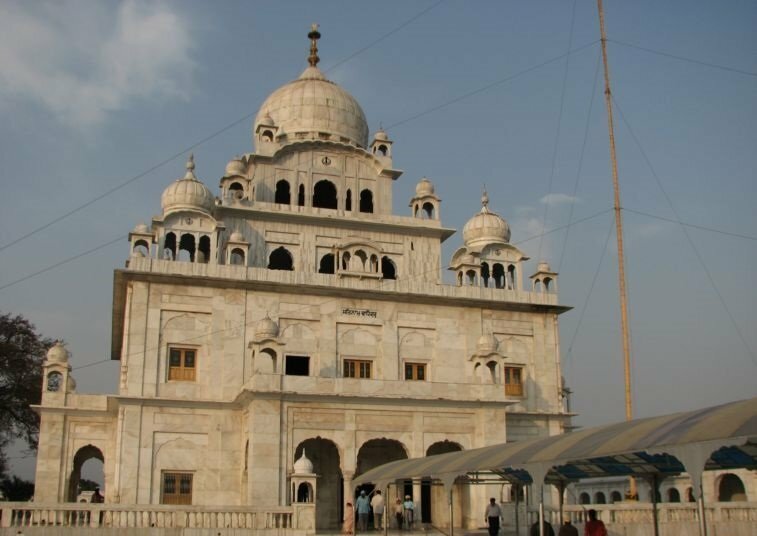 There are five other qila's which Sikhs of the Guru tied their horses. They too, grew into trees. 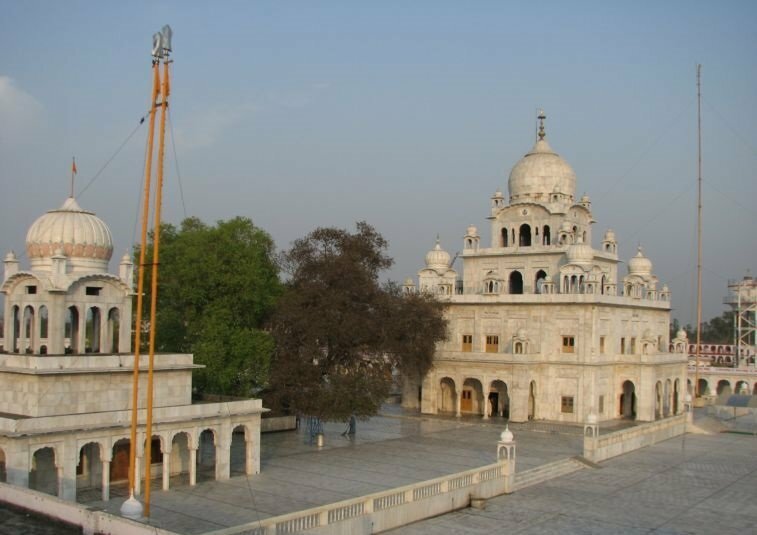 The tree with a cloth wrapped around is the qila with which Guru Sahib tied his horse. Along with Baba Almast Ji, Guru Hargobind Sahib returned to Gurdwara Sri Nanak Matta Sahib to confront the yogis. Gurdwara Sri Guru Hargobind Sahib Nanak Matta is located in the main Gurdwara Sri Nanak Matta Sahib complex. 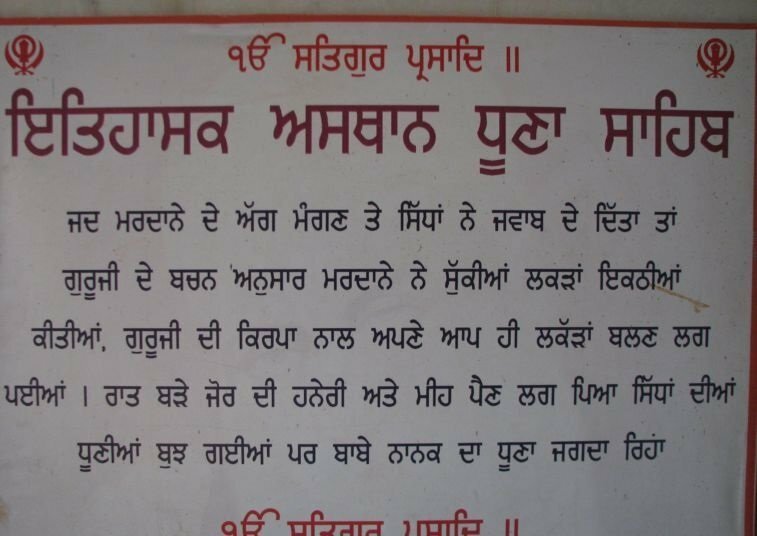 On account of Baba Almast's troubles, Guru Hargobind Sahib Ji visited Nanak Matta. When Sri Guru Hargobind Sahib Ji arrived with his Sikhs, he sprinkled some water and saffron on the pipal tree and made it alive again. The yogi's tried to scare Guru Hargobind. They tried to make a show of their supernatural powers, but had no effect on the Guru, and thus retreated. 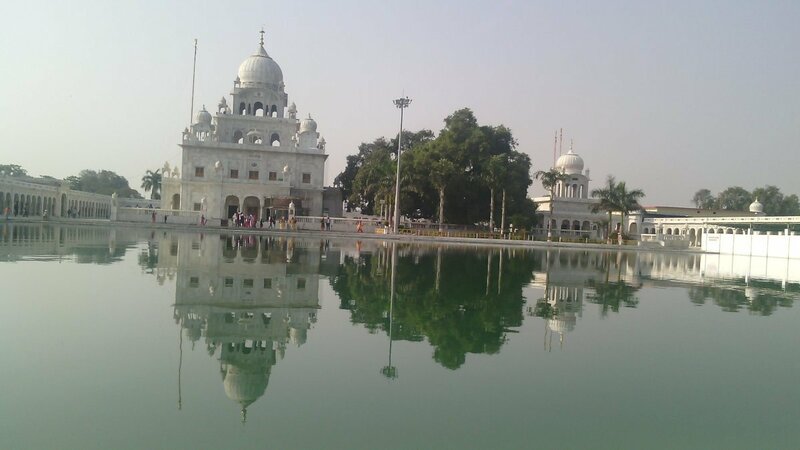 Guru Hargobind Sahib took the possession of the place again and restored it. 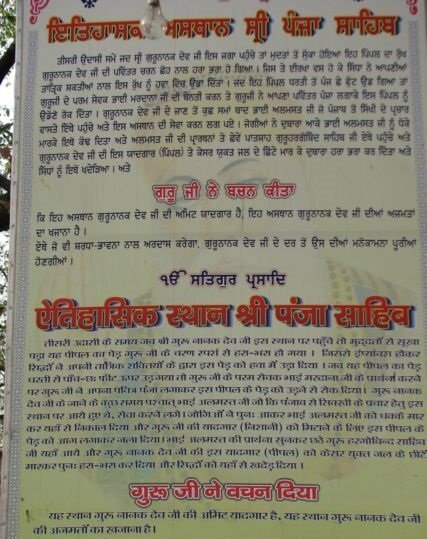 The yogi's sent a message to Raja Baj Bahadur of Pilibhit for help with a request for force to be used against an unknown person (Guru Hargobind). When Raja Baj Bahadur arrived with his men he recognised Guru Hargobind Sahib Ji and fell at his feet (the Raja was one of 52 Raja's that had been freed by Guru Ji from Gwalior). The Raja took Guru Hargobind back to Pilibhit and gave him great respect. The yogis finally understood what it means to be a Sikh and some changed faith. 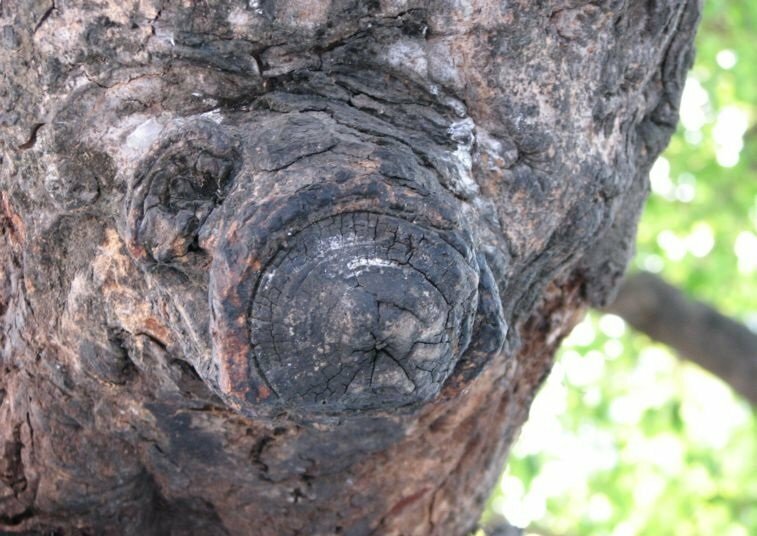 At some places, the pipal tree can still be felt as burnt. 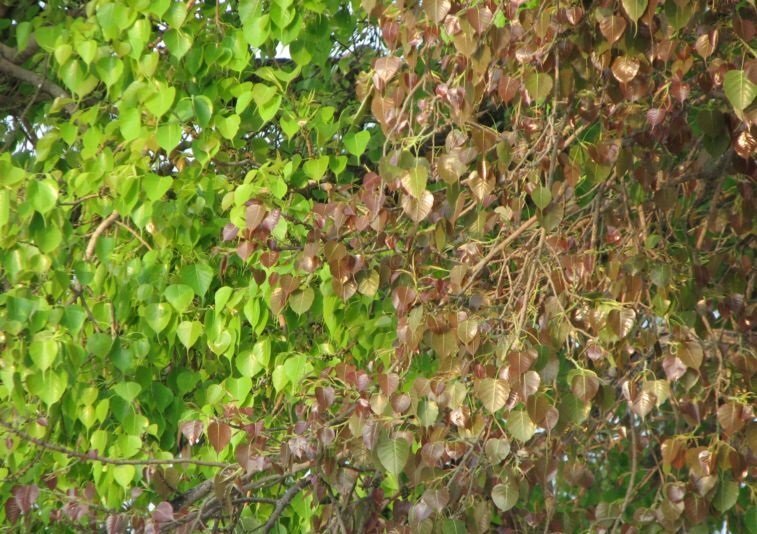 Half of the leaves are of a redish shade, the others have a green shade. 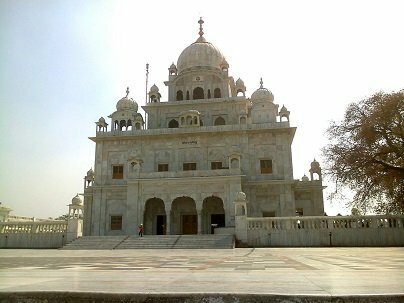 Gurdwara Sri Guru Hargobind Sahib Kalyanpur is situated on the outskirts of the town of Nanakmatta, about one and a half km's from the main Gurdwara Sri Nanak Matta Sahib. Sri Guru Hargobind Sahib Ji and his Sikhs camped and tied their horses at this place. This was the place they started the onward journey to Pilibhit.